Rollover accidents are among the most dangerous type of car accident. Victims are often left with catastrophic or even fatal injuries. Any traffic accident has the potential to be extremely dangerous, but rollover accidents are very often catastrophic and even fatal. 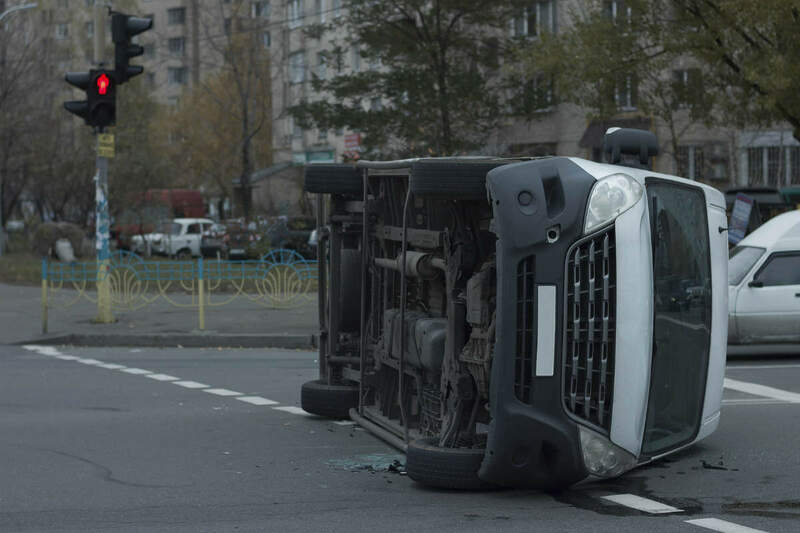 In this post, our St. Louis car wreck lawyers will discuss some key facts about rollover accidents that drivers should be aware of. According to the National Highway Traffic safety administration (NHTSA), rollover crashes contribute to 30 percent of all traffic fatalities, and annually, 7,600 people are killed in rollover crashes. Also, in about 70 percent of the fatal rollover crashes, those who were killed were not wearing seatbelts at the time of the crash. Almost 85 percent of rollover crashes are single vehicle crashes. Statistics show that about 9 in 10 rollover crashes occur while motorists are engaged in routine driving behaviors such as turning on a curved roads or even driving straight. Speeding has been found to be factor in nearly 40 percent of all fatal rollover crashes. Also, driving intoxicated is a factor in almost half of the fatal rollover crashes. This shows that a majority of fatal rollover accidents can be prevented just by driving sober and driving within the posted speed limits. Rollovers normally result from a combination of factors such as driving conditions and driver behavior. Also, the vehicle the driver is operating can also greatly impact the driving conditions. Vehicles that have a higher center of balance or are taller, are more likely to rollover in event of a crash even if the motorist is following the posted speed limits and is driving sober. Rollover crashes account for only 2 percent of all crashes, but they are responsible for more than a third of vehicle occupant fatalities. Experts believe that stronger roofs can reduce the risk of a fatal or disabling injury when a rollover crash occurs. This happens partly because stronger roods reduce the risk of being ejected from a rolling vehicle. Even with electronic stability control, some vehicles still rollover, so strong roofs are important. Electronic stability control (ESC) helps prevent the loss of control and sideways skidding that can lead to a rollover crash. ESC reduces the risk of fatal single rollover crashes by about 70 percent. Rollover crashes are often fatal, and even when they are not, they cause serious injuries that can leave the victim disabled for the lifetime. Victims of rollover crashes are often faced with medical expenses, repair costs, rehabilitation costs, wage loss and immense pain and suffering. If the crash was a result of another driver’s negligence, get in touch with an experienced attorney to ensure your legal right to compensation is protected. Call us anytime – 24/7, nights and weekends – at (314) 361-4242 for a free case evaluation.